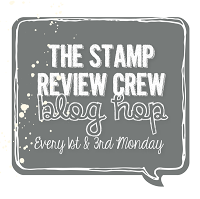 Welcome to the first Stamp Review Crew of the new catalogue. While we all stock up on new goodies, the next couple of hops are sharing carry over favourites. In case this is the first time you’ve linked in with us at Stamp Review Crew, here’s how it works. The blog hop follows a group of international demonstrators who all share ideas on how they used a particular stamp set. 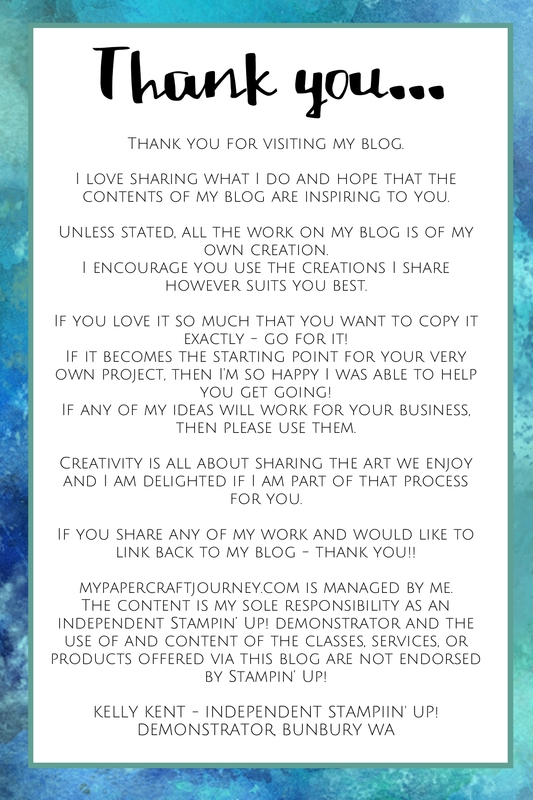 Each blog links to the next until you’ve travelled around in one big circle of creativity. For this hop, the next stop is Valerie Moody. 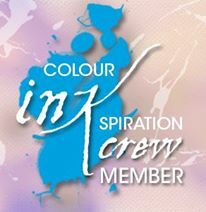 If you get lost along the way, click on the image at the very top of this post which will take you to the main SRC page. The posts are all designed to go live slightly ahead of official ‘go time’, so if it doesn’t quite work straight away, please check back the next day as we usually have it all ironed out by then. 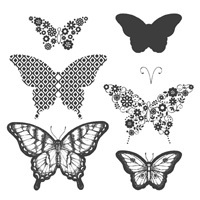 Today is a butterfly frenzy as we showcase the Papillon Potpourri stamp set. This was one of the very first sets I got and it’s stood the test of time! Who doesn’t love a beautiful butterfly!?! And what do we love even more??? A stamp set with coordinating products. 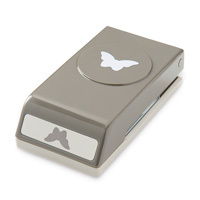 Both the Elegant Butterfly punch & Bitty Butterfly punch feature in the catalogue, so it makes creating with this stamp set a breeze! Today’s project requires just a quick little bit of background – because it’s not my usual share (ie, it’s not a card!). The smallest Miss Papercraft is charming, funny, cheeky and quite difficult to understand! Some of you may know my ‘real’ job (the one that helps me to fund my ever-growing stamp collection) is as a paediatric Speech Pathologist. So, it feels like the plumber with the leaky tap at my house to have a child with a speech sound disorder. She’s just little, but getting bigger, so we’ve recently started on an official Speech Pathology journey for her. And to start, this involves working on the sound ‘b’. 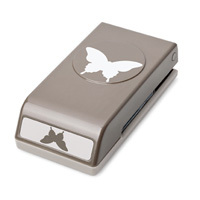 So when this stamp set was chosen for the Stamp Review Crew, it seemed like the perfect opportunity to create some butterfly memory cards for her using Salt Dough. Have you ever tried stamping on dough and then baking it? You can’t use regular dough – but this salt dough mix works perfectly because the salt helps the dough to ‘set’ when baking and stops it from going off. It’s often used for making Christmas decorations – which would also be a great stamping project! 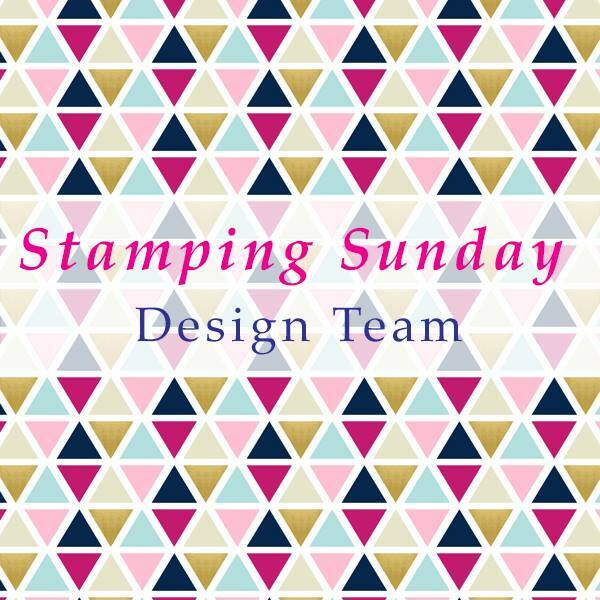 Because of the high quality of Stampin’ Up! inks and stamps, they work really well on salt dough. The colours don’t fade or bleed and the images are crisp and detailed. Salt Dough is easy to make. I used my Thermomix (because I can) but a food processor would also work. Stamp: ink up your chosen stamp with your chosen ink colour and firmly but gently with even pressure (not too much downward force or rocking), stamp your image on to the dough. Your finished creation is not a cookie and should not be eaten. When you take them out of the oven, they should be hard but not ‘browned’ and will keep in a sealed bag or container for at least 6 months. I made two of each colour butterfly using favourite colours from the Brights range (Tempting Turquoice, Old Olive, Daffodil Delight, Rich Razzleberry, Real Red & Pumpkin Pie). The Little Miss Papercrafts and I have been playing memory with our butterfly creations and unfortunately for the Littlest Miss & I, we get beaten every time by the Biggest Miss. Her memory has always been amazing – for as long as she’s been able to talk & play games! There’s lots of ‘b’ practice for each butterfly we turn over and the extension of this game is great with the different colours (yellow butterfly, purple butterfly…). I’m not sure yet what the next sound will be, but lets hope it involves having to buy a new stamp set for more Salt Dough Stamping!!! Next stop on the hop is Valerie and her stunning vellum embossed butterfly – I can’t wait to try that! ‹ PreviousIt’s an ESAD Blog Hop… next week! For now, it’s more pre-order fun! Cute, cute idea, Kelly! Sounds like lots of fun and productivity along with the cuteness! Such a wonderful way to use this stamp set! Creative – and educational! I love how you made the project into a game for your little miss, Kelly. Adorable! What a great and fun way to encourage the memory – always one of my favorites! I love how you incorporated stamping into learning. I love this project Kelly. What a fun way to encourage your sweet girl!